Spring has got be one of my favorite times of year. I absolutely love the fresh smell in the air, the new growth, and the sense of new beginnings. Yes- by the time spring rolls around there is a heck of a lot more light. It’s almost like a huge sigh of relief for those of us who struggle with a low-functioning thyroid. More light = more energy. It seems like a simple equation (and it is). But most of us don’t fully grasp how hard winter can be for low thyroid types. All that extra light that comes with Spring brings a much needed boost to our system. We feel more energy because there’s way more energy available to us from our environment- the sun! In Chinese Medicine, every season has an element and an organ association. Spring brings with her all the newness of the wood element and relates to the liver and gall bladder. Spring is all about new growth, new ambitions, and having the gumption to get ‘er done. Your liver is absolutely amazing. Seriously, there’s no better words for it. Your liver is in charge of over 500 biological functions and works like a champ 24/7. One of it’s most important functions is as a hormone metabolizer. Yes, your thyroid makes thyroid hormone: T3, T4, and calcitonin. Of the 3 hormones, T3 is known to be the big fish in the hormone community because there are T3 receptors in every single cell of your human body. Your thyroid doesn’t make all that much T3. Nope- your thyroid makes quite a bit of T4. And, that T4 is converted to T3 , by your liver! If your liver is up to speed, spring time can bring a hormonal boost. 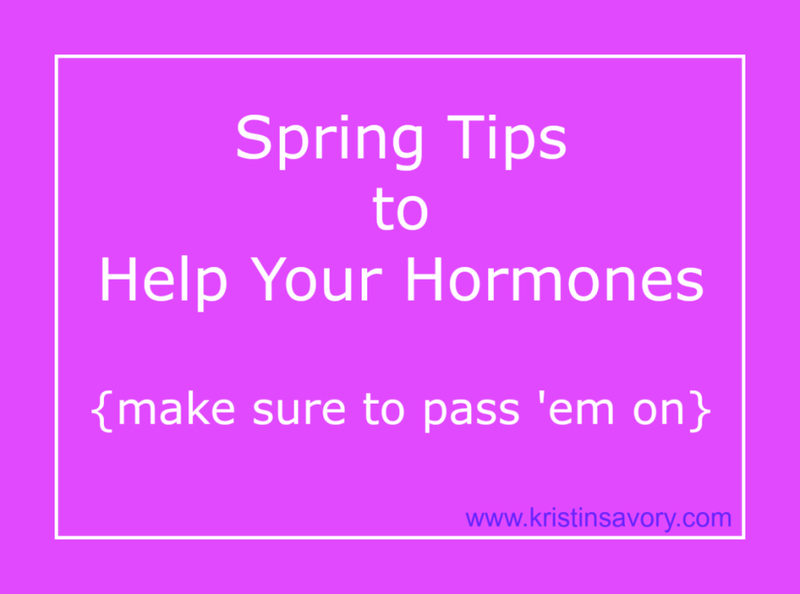 Want to get the most out of spring to help set your hormones straight? Try one or two of the following tips. No need to feel like you have to do everything- do what feels good and make sure to spread the love (hit your social share button of choice) and pass this list along to a friend. 1. Lemon and/or Apple Cider Vinegar water first thing in the mornin’. Now I l.o.v.e. my apple cider vinegar warm or even hot in the morning. Often us low thyroid types are chilled in the am, so this little number can do double duty. 2. Rub your spring toes. Your liver meridian runs right between your first (aka. big toe) and second toe. Rubbing along this area between the two bones helps to soothe and soften an overworked liver. 3. Spend some time outside. OK folks. It’s spring, get out there and start soaking up some sun. Skip the sunscreen and the sunglasses (for at least 10-20 mins) so that your skin and eyes can soak up some of them healing rays. 4. Start a new project (one that makes you feel accomplished). Your liver loves to check things off the list. Spring is just the time of year to brush off the cobwebs and start something new. 5. Try dry brushing. Dry brushing can help soothe the liver by getting the lymph moving a long. Dry brushing helps with detoxification and it’ll help wake you up in the morning. Dry brushing is best right before a hot shower or bath. 6. Go for gelatin. Gelatin is loaded in amino acids. It’s a natural detoxifier and a helpful liver soother. 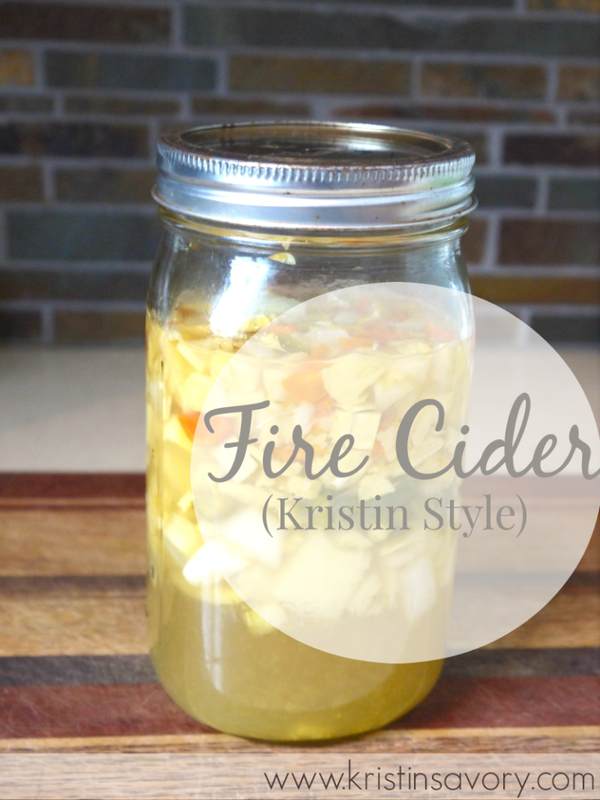 You can use gelatin as you cook, or try my favorite hot, comfort drink by clicking here. 7. Take 100 paces After Dinner. A brief walk after dinner gets in a little more fresh air and a bit of movement. It’ll help your liver start the digestive process, and it'll help you unwind after a long day. Here's to longer days and warmer weather!